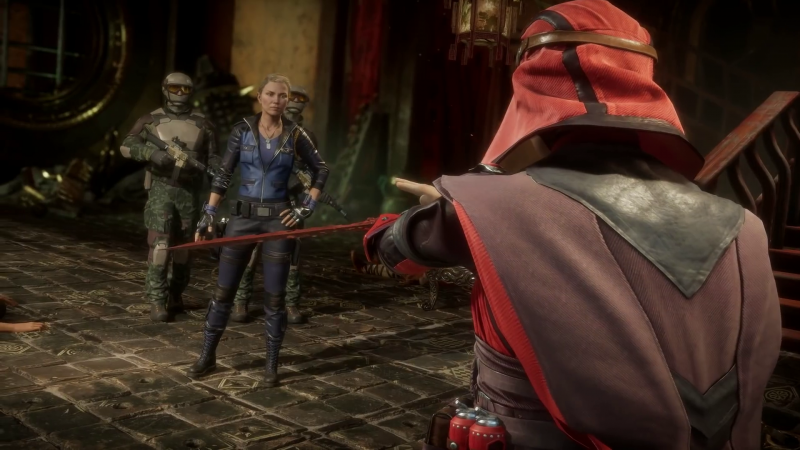 Update: It was confirmed today at the Mortal Kombat 11 reveal that Rousey will indeed be voicing Sonya Blade. You can check out the trailer for the character and Rousey's acting here. Ronda Rousey has become somewhat of a household name over the years, between her meteoric rise in the UFC and her recent stint as a professional wrestler in the WWE. The mixed martial artist is well known beyond just her ability to beat down opponents, making her a pretty natural fit for being the face of a fighting game. It looks like Rousey will get her chance with the upcoming Mortal Kombat 11. In a tweet posted last night, Rousey links to an Instagram picture of her holding an invitation for the Mortal Kombat 11 reveal taking place January 17 in Los Angeles, seemingly confirming her involvement. A rumor from late last year posted on reddit suggested that Rousey would be voicing Sonya Blade, the tough-as-nails special forces officer present in every significant Mortal Kombat game. Rousey's tweet likely confirms all other aspects of the rumor, though it was pretty safe to assume based on the fact that the original posting featured the game's box art a month before it was officially revealed. Rousey wouldn't be the first celebrity to voice Sonya Blade, as MKX cast Battlestar Galactica actress Tricia Helfer as the character. Rousey makes for a much more controversial choice, however, as she tends to speak her mind and openly engage in conspiracy theories about mass shootings being faked by the government. It is assumed that she will not be the only celebrity voice in Mortal Kombat 11, but no others have tipped their hands yet. Mortal Kombat 11's reveal event takes place on January 17 at 10:30 a.m. PST on Netherrealm's Twitch channel. The game itself will be released April 23 on PlayStation 4, Xbox One, Switch, and PC.